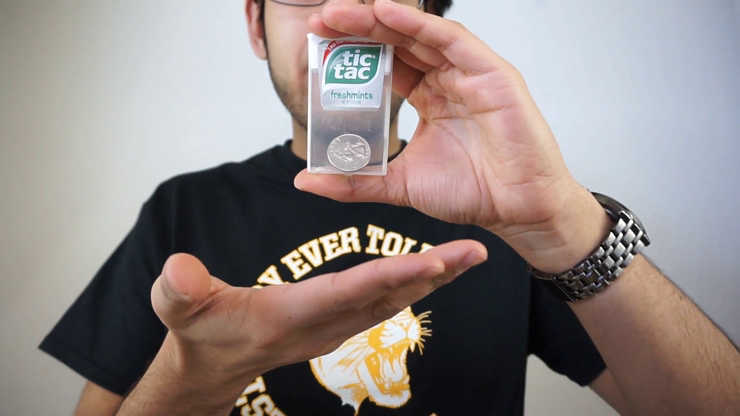 Trick Tac is an amazing organic object through tic tac box effect that is so clean it looks like cgi. With this download you get over 20 minutes of detailed instructions on how to preform these spectacular effects taught by Andrew Salas. After the penetration you can show the tic tac box 360Â° around and the spectator can even tap and look at the box because there's nothing for them to find. It's that clean! This download leaves nothing unanswered as it shows you multiple angles with close ups! If you're wanting to perform amazing magic then this is it! Welcome to Trick Tac!